Rik Marselis is one of the most senior management consultants in digital assurance and testing of Sogeti. Rik has contributed to 19 books about quality assurance and testing and he is one of the authors of the recently published book “Testing in the digital age”. He has contributed to implementing and improving quality assurance and testing approaches in many organizations. As a fellow of SogetiLabs, since several years he focusses on testing OF intelligent machines and testing WITH intelligent machines. 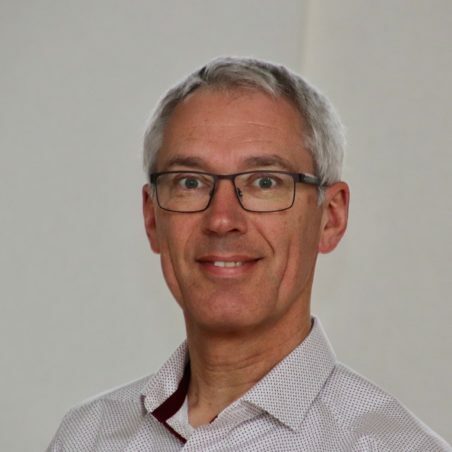 Besides his work for Sogeti (part of Capgemini) he is the chairman of TestNet, the independent association of testers in the Netherlands. And he is an active workgroup member of ISTQB. Over the years Rik presented in many countries including Norway, Denmark, Sweden, Austria, Australia, Belgium, Germany, UK, Ireland, France, Spain, Poland, Peru and of course his home country the Netherlands. Smart software. It’s everywhere. In Artificial Intelligence. In Robotics. It’s changing the way we work, manufacture, communicate, entertain ourselves, manage our health, money, fitness, and more. Smart software is embedded in so much of what we do and use in today’s digital world. But I believe that this presents us with a real problem in terms of quality. Why? Because the actions and responses of intelligent machines will differ over time and thus are less predictable than traditional IT-systems. And also, because the manually intensive way we’ve developed, tested and delivered software up until now, is no longer enough to meet the escalating demand for new and innovative applications, in every walk of life. Have you ever tested an intelligent machine before? In this workshop you will experience through discussion, quizzes and hands-on testing what is new about testing artificial intelligence and robotics. You will experience what is different when you test a physical robot. And you’ll also test an intelligent agent. In todays digital age exploration is more important than ever. But it has to have a structured foundation. Therefore we’ll use paired, timeboxed, session-based exploratory testing with charters, logs and debriefing. Intelligent machines require a new vision on test engineering, using new quality characteristics to assess the quality of the products and their impact on business and society. With everything digital there are more possibilities for test automation and piles of test data growing out of control. A roadmap of 5 hops leads organizations to the ultimate goal of quality forecasting. Artificial Intelligence (AI) and Robotics are very rapidly entering our lives. The world of test engineering has to align and adapt. In this presentation Rik introduces his book which covers many topics around testing OF intelligent machines and testing WITH intelligent machines. Examples include testing of chatbots, evaluating the business impact of new technology and validating the impact on our social lives.